$10,000 maximum grant award; minimum amount $2,500. The Provost’s Office of Outreach & Engagement provides Community Impact Grants to support projects and initiatives across campus that make a significant impact within communities in Iowa and support the engagement goal of the 2016-2021 University of Iowa Strategic Plan: "Engage with Iowa and the world to broaden education, improve health, and enhance economic development." This grant covers substantive projects that could include service-learning courses, community-based research and scholarship, or staff outreach. This grant is not intended to solely fund field trips, events, or lectures, although these can be components of a larger community engagement project. Applicants must complete the online application form. Incomplete or late applications will not be considered. The Office of Outreach & Engagement has a Grant Review Committee that makes decisions on awarding funds and the level of funding. Partial funding may be awarded. If there is a conflict of interest, members will recuse themselves from the discussion and award decision. What is the selection criteria for awarding funds? Significant community impact; project expands the university’s engagement goal in the 2016-2021 strategic plan. Feasibility that the project will be completed within 11 months from the Award Announcement Date. Potential to involve University of Iowa students within the project, either through service-learning, independent study, research, or volunteer hours. Preference will be given to new projects or emerging programs. Long-term sustainability of the project. Does the project provide opportunities for additional community engagement with community partners after this funded project is completed? Ability to show supplemental funding from on-campus departments or other funding sources, although matching funds are not required. NOTE: Travel outside of Iowa will not be funded. The primary contact for the application must be a University of Iowa faculty, staff member, or graduate student. All recipients must have a 240 funding account so that funding can be transferred. Any funds not utilized will be returned to the Office of Outreach & Engagement. 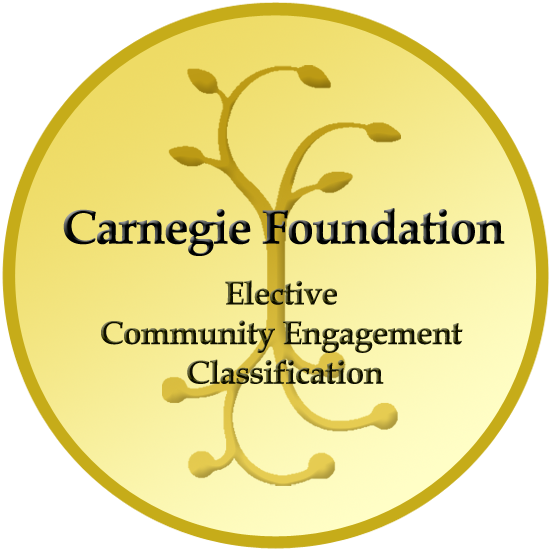 Identification of the community or communities that are direct partners on the project. Please be specific and include the name of organizations and businesses, including city governments, non-profit agencies, or community groups. A brief description of the proposed scope of work to be completed (500 words). Timeline for key milestones in the project, including start and completion dates (does not need to be specific day; week or month is sufficient). Goals for the project, measures of achievement, and potential impact that the project will have on community partners and campus partners (including faculty, students, and staff). A plan to assess project outcomes and deliverables once the project is completed. A project budget, including cost of materials, student participants (interns, research assistants), events, workshops, and source(s) of funding. The Community Impact Grant does not cover faculty and staff salaries or travel outside of Iowa. Expenses incurred prior to the grant award announcement will not be covered by the grant award. If supplemental funding has been secured or if there are outstanding requests for funding, please include them in the income section. Feel free to use the sample grant budget or use your own budget. Space is provided to explain your budget and to describe how the project will change if funding is not awarded. A departmental letter (DEO or Dean/Associate Dean) supporting the project is required, unless the applicant is a department head. All publicity and advertising must acknowledge the Office of Outreach & Engagement. Logos will be provided to grant recipients. Tag activities onto the Outreach Iowa university events calendar, if applicable. Post to #OutreachIowa on social media. If the project last longer than six (6) months, then the recipient must email the Office of Outreach & Engagement (outreach-engagement@uiowa.edu) a Midway Status Report including: details of work completed, expenditures to date, unexpected challenges, and plans for the remainder of the project. Note that this content may be published online or in print. A Final Report detailing the impact of the work completed within the community must be emailed to the Office of Outreach & Engagement (outreach-engagement@uiowa.edu) within 30 days of project completion. Note that this content may be published online or in print. The Final Report must be submitted prior to applying for another Community Impact Grant. The Office of Outreach & Engagement anticipates awarding up to three (3) Community Impact Grants at a maximum of $10,000 each per application cycle. Access to the grant application form here.